It’s the next logical step forward. 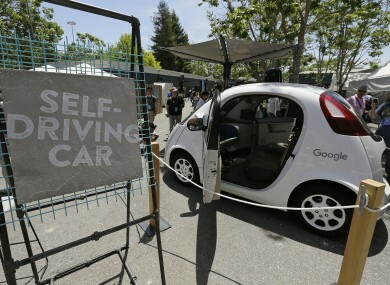 GOOGLE IS NOW teaching its self-driving cars when and how to beep its horn. As part of its monthly report on its self-driving cars project, it said that it is working on developing the “voice” of its self-driving car and make it “polite, considerate and only [beep] when it makes driving safer for everyone”. It was taught to beep in certain situations like alerting other drivers to its presence if they’re turning into a lane or if they’re reversing out onto the road. During the first tests, the car would beep inside the vehicle so it wouldn’t confuse others on the road, but as it improved, it was then beep normally. The car was also taught to use different type of beeps to match the situation. If someone was slowly reversing towards the car, it would use two short, quieter beeps as a heads up but if it faced a more urgent situation, it would use one large beep instead. The other thing it’s working on is the noise it makes while driving. Since these are electric cars, it means they don’t have a motor which makes noise. The solution is to create a sound that increases its pitch as the car accelerates, and reduce it when it slows down, but Google has not picked a distinct sound yet. Email “Google is now teaching its self-driving cars to beep by themselves”. Feedback on “Google is now teaching its self-driving cars to beep by themselves”.